The Causes of Peripheral Neuropathy will ASTOUND you! The Causes of Peripheral Neuropathy will astound and surprise you. Why doctors don't tell you these things is a mystery. But you will be surprised to learn that many of the Causes of Peripheral Neuropathy are NUTRITIONAL. Neuropathy is a painful nerve condition that usually effects the lower extremities, and is almost always long-lasting (also called chronic). Most often it's called 'idiopathic neuropathy', this means that no cause is able to be found and people are left in chronic pain with no hope for relief from their continuing pain. 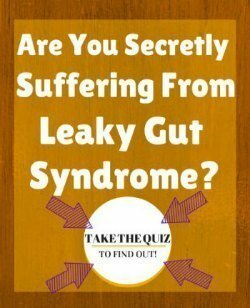 But what if the 'idiopathic' part of the Idiopathic Neuropathy simply means that doctors have stopped looking or refuse to look for any other possible causes of peripheral neuropathy that have been researched -simply because they were not taught these causes or they don't believe that they could possibly be a cause? Vitamin B12 Deficiency is probably one of the MOST common nutritional causes of Idiopathic Neuropathy, yet it is almost universally ignored! Vitamin B12 deficiency is one of the very FIRST problems that alternative practitioners think of when someone complains of neuropathic pain. Vitamin B12 deficiency can be caused by dietary factors, the use of Dental Nitrous Oxide, the diabetes drug Metformin, the MTHFR gene, as well as several other drugs that can decrease Vitamin B12 Levels. If you think that vitamin b12 might be your problem, then an inexpensive trial of high dose Methylcobalamin B12 Supplementation is virtually problem free, inexpensive and can work quickly to reverse the problem IF Vitamin B12 deficiency truly is the problem. However, the reason that YOUR doctor did not suggest this to you is that doctors require evidence for the cause of a problem before they will attempt ANY treatment. And in order to look for vitamin B12 deficiency, doctors will look ONLY for a condition called Macrocytic Anemia- a problem of enlarged red blood cells. But macrocytic anemia will often only occur YEARS after Vitamin B12 deficiency has begun. So, for doctors- lack of macrocytic anemia is evidence for lack of Vitamin B12 deficiency- even though this is NOT the case at all. Even if your doctor checked a Vitamin B12 Level, it is FREQUENTLY normal even in Vitamin B12 deficiency. There is an accurate test that is called a Methylmalonic Acid Test, but the BEST test to see if Vitamin B12 deficiency is the problem is simply doing a trial of high dose Vitamin B12 in the form of Methylcobalamin B12. Ignore this section at your own peril!! If you have Vitamin D Deficiency, you can have DRAMATIC symptoms of pain and neuropathy. Surprisingly, there is even a HUGE relationship between the pain of Fibromyalgia and Vitamin D Deficiency- which often ALSO has a LARGE component of 'overactive nerves' and nerve pain that is very likely a type of 'all over' neuropathy. 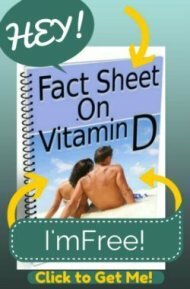 But many people believe that because they get Vitamin D in their multivitamin or that they get "Plenty" of sun that they can't have Vitamin D Deficiency. If you have Idiopathic Neuropathy and you ignore this section, you are doing yourself a HUGE disservice. The vast majority of people with Chronic Pain from Vitamin D Deficiency suffer for years- sometimes even decades- before it is found that Vitamin D Deficiency is their problem. Doctors are just simply not aware that idiopathic neuropathy can be a Vitamin D Deficiency Symptom – and most believe that Vitamin D Deficiency is rare anyway (if you think that up to 85% of the population is 'rare'). But if you have Idiopathic Neuropathy, you should INSIST on getting a vitamin D test or simply Order a Vitamin D Test Yourself Here. Why shouldn't you just start taking some Vitamin D? That would be a HUGE mistake. Really, don't do it!! Here's why... If Vitamin D Deficiency really is one of the causes of peripheral neuropathy for you, then it's EXTREMELY likely that you have SEVERE Vitamin D deficiency. And if you decide to just take SOME vitamin d to remedy that, it's almost 100% guaranteed that by yourself without guidance from a test and a KNOWLEDGEABLE health care practitioner that you will not take nearly enough vitamin d.
Please do yourself a favor, if you have idiopathic neuropathy, just get your Vitamin D Level checked any way that you can. You will likely be shocked and surprised. 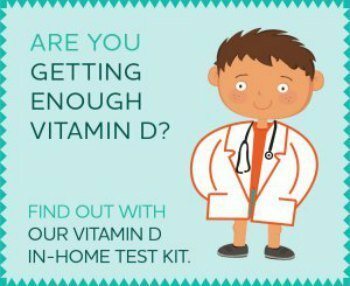 If your Vitamin D Level is less than 40 ng/ml (127 nm/l) then you need to read the Vitamin D Deficiency Treatment page and get your levels up. Not ONLY could you improve your neuropathy, but you could get lots of other long-term health benefits as well. There has been a lot of research done on Vitamin E as one of the causes of peripheral neuropathy. It has been particularly well studied for its preventative role in Toxic Neuropathy from cancer treatments. If vitamin E was used during these harsh drug treatments, then study participants were protected from ever getting this toxic neuropathy. This was shown in many studies; unfortunately it is still not being used in clinical practice at cancer centers. There have also been many instances of neuropathy from Vitamin E deficiency and it certainly deserves a critical look as one of the possible causes in EVERYONE with idiopathic neuropathy. There have been many families studied with 'familial' neuropathy who actually have an inborn error of Vitamin E metabolism that can be easily corrected with supplementation. Despite scientists being aware of this genetic 'quirk' that is one of the causes of peripheral neuropathy, doctors do not test for this genetic problem, nor do they check a simple vitamin E blood level- which is nearly always low in those with this Vitamin E processing problem. In other studies, the low vitamin E levels began BEFORE the nerve damage, so it's clearly NOT the genetic quirk that causes the neuropathy, but the low vitamin E levels. Can you be sure that low vitamin E levels are not causing your neuropathy? There is no way to know unless you have had a Vitamin E blood level drawn- but this is almost never done. So if you want to make sure that this is not your problem, INSIST on having a Vitamin E blood level drawn. Thiamine deficiency is underappreciated as one of the simplest and cheapest to remedy causes of peripheral neuropathy. According to most doctors, thiamine deficiency neuropathy is almost strictly a disease of alcoholics. But this is SO WRONG to be almost silly and this belief prevents large numbers of people from being helped by a treatment that only costs pennies a day. Diabetics and the elderly, in particular, have an extremely high incidence of neuropathy, and when simply taking a multivitamin tablet COULD potentially have significant benefits to people with a debilitation and painful condition like neuropathy, it is really unthinkable that doctors today- despite the evidence – will absolutely not recommend even TRYING out a pennies a day solution to see if their condition could be improved. trivial by the attending physician.."
This is in addition to the fact that neuropathy in diabetics can lead to complications as serious as amputation due to decreased sensation and poor healing. And in the elderly, a simple fall can often lead to consequences as severe as death! If a pennies a day vitamin supplement with virtually NO side effects COULD lead to improved sensation in even a small percentage of these people- the cost to benefit ratio to the individual people and to society would seem to FAR outweigh the minimal cost of the vitamin pills. An extremely common, but also extremely undiagnosed condition called Gluten Sensitivity has also been shown to be one of the Causes of Peripheral Neuropathy in some cases. However Diagnosing Gluten Allergy is EXTREMELY hard and is not a great way to know if you have this condition. But if you have peripheral neuropathy, it's likely your nutritional deficiencies are from SOMETHING- and it's unlikely that your doctor is going to find out what it is. So, if you are going to get better, then you need to discover ways yourself to get better- and getting on a Gluten Intolerance Diet is going to be much more likely to solve the underlying CAUSE of your neuropathy than any drugs will. If you choose to try any of the above ways that could potentially help your neuropathic pain, don't forget that taking a professional strength multivitamin and mineral supplement like High Quality Multivitamin and Mineral Supplement to cover all of the 'unknown unknown' causes of neuropathic pain- of which there could be others that no one really knows about yet. While this may be an odd statement, there IS actual real evidence that this could be helpful- the Cuban Neuropathy Epidemic. From 1991 and 1993 in Cuba, there was an 'epidemic' of optic and idiopathic neuropathy that affected over 50,000 people! It was determined that the neuropathy was due to a Viral Infection. But no one was treated with antiviral medications or antibiotics. Even in the hospital, people were treated simply with Vitamins! Once this was discovered, a public health campaign began that handed out simple multivitamins to the population. The 'epidemic' was virtually stopped in its tracks. Some research points to the possibility that one of the causes of peripheral neuropathy was a deficiency of either thiamine or selenium. But another study examined past 'epidemics' of idiopathic neuropathy elsewhere in history and stated that single nutrient supplementation has always failed in these cases while High Quality Multivitamin and Mineral Supplement-particularly B complex vitamins- improved the majority of cases. So, while doctors would categorically deny that the Causes of Peripheral Neuropathy or the Symptoms of Fibromyalgia could POSSIBLY be caused by nutritional deficiencies, there is PLENTY of research that says your doctor is dead wrong about that. And if you have been labeled with 'Idiopathic Neuropathy' that means that your doctor has stopped looking for causes and has given up on you. So if you want to get better, it's time that YOU start looking for causes that your doctor is NOT going to look for. Multivitamin Supplement- Has many of the recommended nutrients that the studies above recommend. and you'll have one of the most powerful combination of supplements for the Nutritional Treatment for Peripheral Neuropathy that would cover any nutritional bases that have been shown to be a problem in peripheral neuropathy!